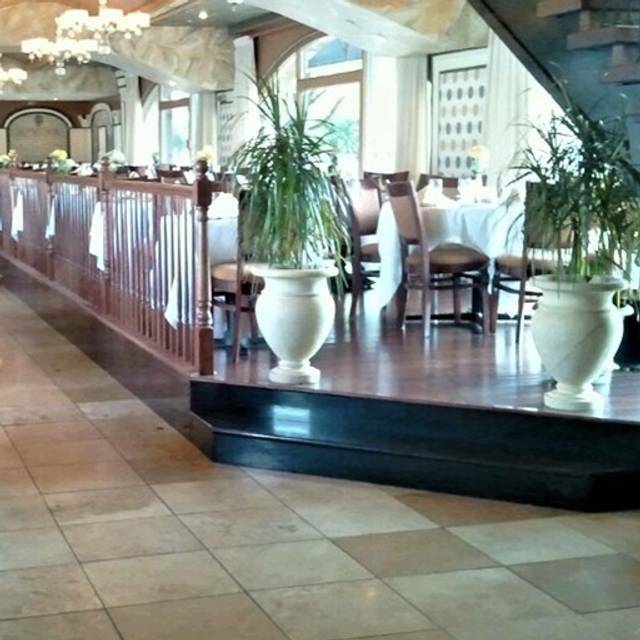 You must make reservations at least 5 minutes in advance of the time at La Veranda - Philadelphia. Meter parking is available within walking distance.Valet Parking is provided at a rate of $21.00 per car beginning at 4pm. Large vehicles, Pick-up trucks, and SUVs will be charged an additional $5.00. Outdoor dining is available for lunch or dinner. Catering Menu's are available for lunch, dinner or Cocktail Receptions. We offer 2 private dining rooms both overlooking the Delaware River and the Ben Franklin Bridge. Both rooms offer access to our Veranda. Rooms will accommodate from 20-150 guests. We are here for all your banquet needs from small family gatherings and business affairs to family functions and wedding receptions. 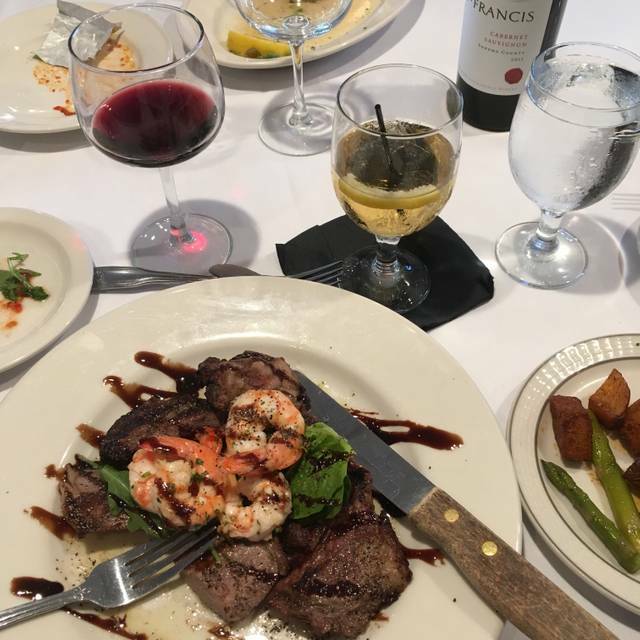 La Veranda Ristorante is known for its delicious Italian Food, incredible Wine list, waterfront views, and its superior service. Located at Pier 3 on Penn’s Landing in Historic Old City Philadelphia, we offer the perfect setting whether it be an intimate dinner for two, office gathering, holiday celebration, or private meeting space. All rooms feature an incredible waterfront view and the perfect back drop for all your Instagram photos. Our Classic Mediterranean Cuisine , full service bar, and outstanding wine list are all sure to impress your guests. Chopped Onion, Egg, Capers & Toast Points. 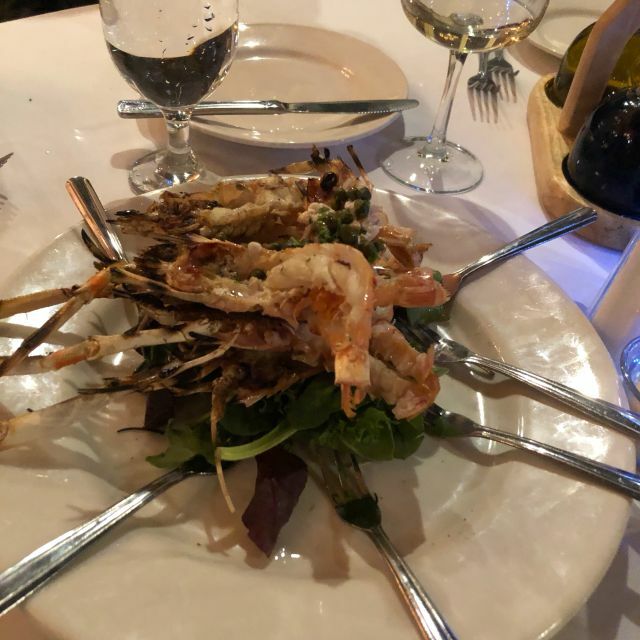 My friend ordered the branzino and it was juicy and delicious. I ordered the Veal Saltimbocca. The fontina/wine sauce was very tasty but the veal was tough. The Tiramisu was perfect. Thank you so much for leaving us such a positive review! We are proud of our team and love that it shows. I will pass the message on to the staff and to our weekly pianist, Ethan Fisher. 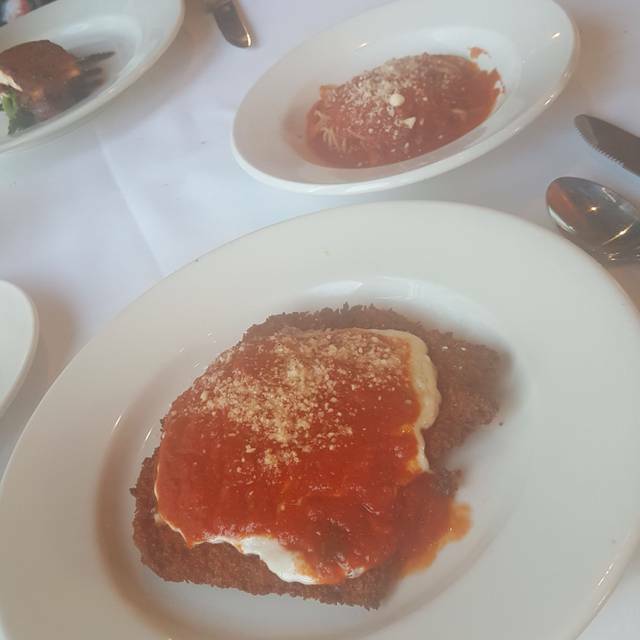 We hope you'll come back soon to enjoy a delicious meal and friendly company! Not authentic Italian taste, too much and too thick tomato sauce. 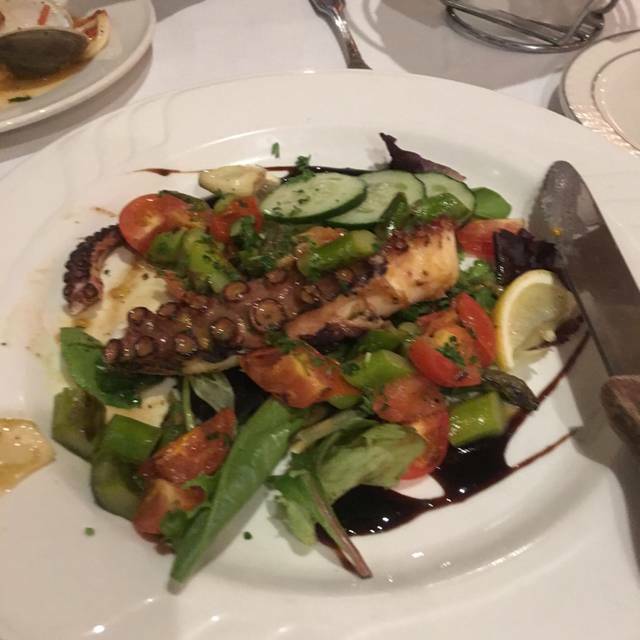 The squid grill is pretty good but the rest of entree can not be called “fine dining”. Sorry! Very good food and friendly staff. I'll be back soon. Waitress had to be reminded that we needed to move along b/c we were going to the ballet. Valet parking isn’t free??!! Ugh! We parked across the street ourselves. Way too expensive. One waitress, Ena (?) from Ukraine, played the piano with spectacular skill and engagement. The atmosphere was electric. It was some time since we were at the restaurant. Our pleasant memories were reinforced. The food was excellent, the evening wonderful. Every wine that we requested, they did not have. They tried giving us a wine not on the list (where did that bottle come from?) marked-up 500% (it was a $7 bottle of wine retail), which is ridiculous. The old bate and switch. WOW! What a wonderful experience we had at La Veranda. We were in Philly for the weekend and just winged our plans and happen to find this restaurant on Open Table and made a reservation. Since it was close to our hotel we figured we’d give it a shot. Absolutely incredible from start to end. When we walked in and the hostess greeted us and took our coats and seated us right away. Beautiful ambiance with a pianist playing in the background. Wonderful server who was very attentive. We split a bottle of wine and each got a chicken dish. Absolutely delicious and very reasonably priced. We were blown away by the atmosphere and the price. I highly recommend to anyone in the area! The food and ambiance was amazing. I would definitely go there again. Beautiful atmosphere and great Valentine’s Day menu. Very slow service though, disappointed because of the quality and price of this place. Food tasted great. The employees there are super friendly and accommodating. The atmosphere there is romantic and relaxing. Great place with an amazing bartender and staff. Food is amazing. Food was good, not outstanding. It's not unlike quite a few restaurants that come up a bit short when it comes to standards that should befit the dish. Also the night we went was a frigid Thursday with one other table seated in the house. It was cold, but we got over that soon enough. What bothered me was our car could have stayed out front where we had parked it, and the fact that the restaurant was literally empty, they still charged for valet service when there was no need to move the car anywhere kind of got my goat. I found that to just be a little greedy on the restaurants' end. We went for my Mom’s birthday. It is one of our favorite spots in the city. Great atmosphere very friendly staff and excellent food. Valet parking is a plus! La Veranda was great and the was very good as well as the service. Nice and quiet ambience great food nice seating arrangement. Only thing service was a lil slow may be because it was a large group but the food was worth the wait. Definitely check this place out you will enjoy the food. One of the best experiences I have had this year. And we are from New York City! 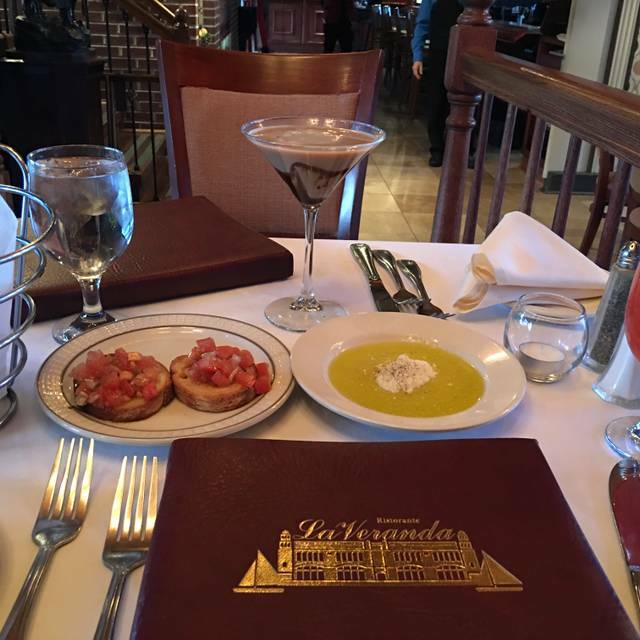 La Veranda always goes out of the way to make us remember why we love the place so much! The food, service, and the ambiance are tough to beat for a special night. This has become one of my favorite Philadelphia restaurants. 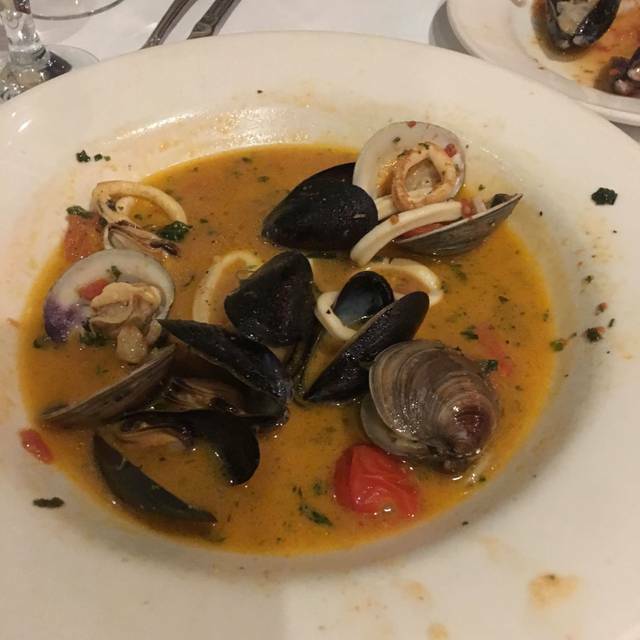 I had not been to La Veranda for many, many years, and was pleasantly surprised that it is still is a very nice restaurant. Food and service were all very good, and it has nice old school ambience. Will go back again. 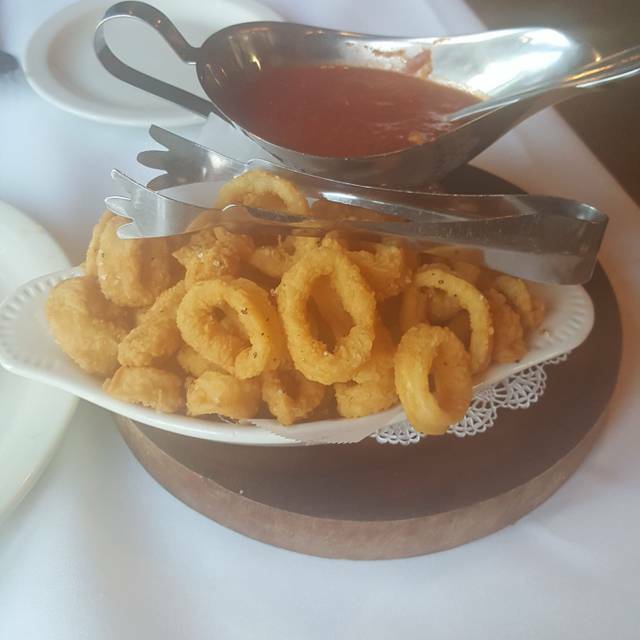 Excellent food with very good service in a quiet, pleasant environment. Would highly recommend this restaurant without a doubt - one of our favorites in the Phily area. One of the most romantic restaurants in the city is enhanced even more now with the addition of quiet contemporary piano. Not intrusive, yet a real plus. Songs from the Great American Songbook. When Ethan was finished for the evening and we were among the last few guests, our server, a shy young lady from the Ukraine,sat down and rattled off a few classical gems. Very charming, and well done. A very enjoyable evening. We had an incredible dinner and a wonderful evening! Took my mom there for her 90th birthday celebration, booked on Opentable online. Although we arrived 20 minutes early, the manager met us at the door, knew who we were, and had our table all set up. We enjoyed a quiet lunch outside, watching boats go by on the Delaware. It was absolutely pleasant, especially since we were the only ones seated outside throughout the entire meal! This was our third time at La Veranda and we’ve had great experiences each time. The food is authentic Italian. The service is impeccable. Right on the waterfront so fantastic views. Outdoors seating weather permitting. It’s a good value for what you get. Recommendation: Check this gem out! Out for an evening with friends. All had previously dined at La Veranda in the past. The food was no where near the quality we had all experienced in the past. None of us enjoyed our dinner, all ordered seafood. The sides, oh my, veggies overcooked and the few slices of potatoes, what was that? The staff was kind, attentive and friendly. Needles to say, the meal made for a very disappointing evening. Not sure what happened to the La Veranda of the past! The lack of patrons that evening may be a tell-tale sign. The food and service was amazing! Great for birthdays and dinner dates! 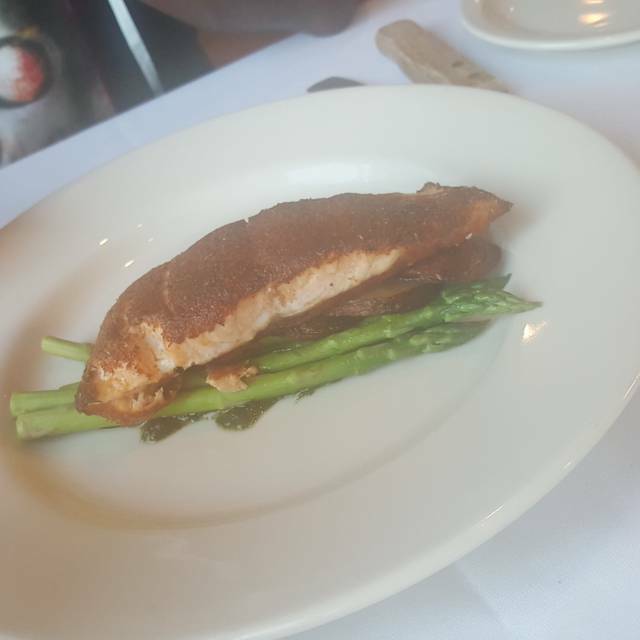 I got the blackened salmon and it was the best. I will be returning. The food was exceptional and the ambiance was very nice for a date night. Excellent in every way. View was spectacular & food and service was exceptional. This was my first visit & I shall certainly return.